The defining moment was February 9, 1964. The Beatles performed on the Ed Sullivan show. This was to be an inspiration to a generation of fledgling musicians. Doug Collier, Chuck Jackson, Angus MacKay and Chris Towells were among them. Music became a central focus of their lives from that day on. We all attended Forest Avenue Public School in Port Credit Ontario. In the spring of 1968 we saw Cream in concert at Massey Hall in Toronto. In June we performed at our eighth grade graduation dance. That was where the initial performance of Blue Condition was witnessed. Songs included Louie Louie, Steppin’ Stone and of course Sunshine Of Your Love. The line-up was Doug playing lead guitar Chuck on the bass Angus on rhythm guitar and Chris singing and playing drums. After a family trip to England in the summer of 1968 Angus returned with new records by Fleetwood Mac, the original band featuring Peter Green as well as the latest John Mayall’s Bluesbreakers album Bare Wires. We were inspired to adopt the name and the styling of a blues band. We were Bare Wires. Upon entering grade nine the band experienced growing pains and disbanded. Doug began playing bass and joined a power trio Lady Fix with a new drummer Paul Vega. Angus and Paul got together to jam and things started to feel good musically. Soon Doug was playing bass and Chuck began singing and playing harmonica. Also added to the new band was second guitar player Neil Baguley. This quintet was known as Freeway and found its inspiration with the recordings of the Allman Brothers Band and Edgar Winter. 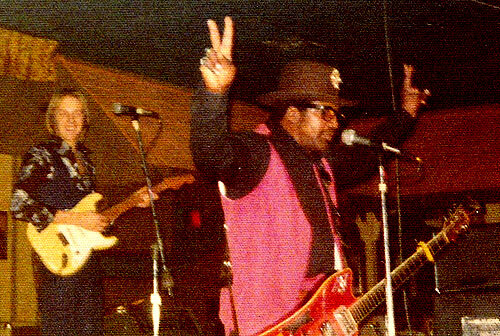 After awhile we took on a more straight ahead blues band approach with influences like Howlin’ Wolf, Muddy Waters, Charlie Musslewhite and Buddy Guy; the real Chicago blues. The Madison Street Walkers were born. The summer of that year saw us perform at drop-in centres and private parties around the community. 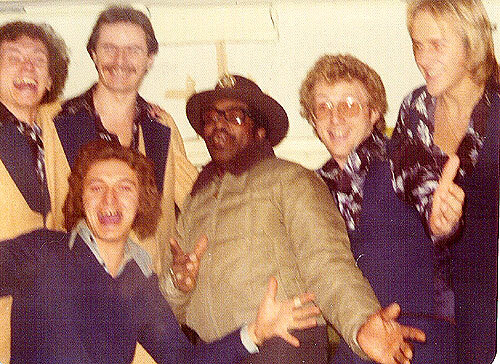 We captured first place in an amateur band contest at Dixie Plaza and won three hours of studio time at Toronto Sound with Terry Brown. Joining the Toronto Musician’s Union that year we knew we were on our way. 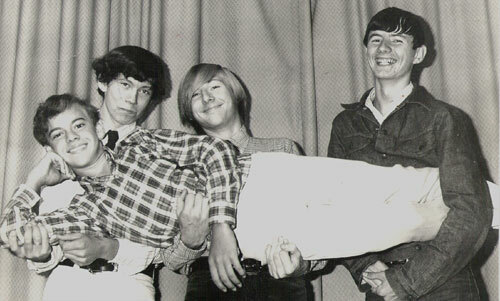 Success came rather slowly and that fall Neil parted from the band to return to school. The rest of us hung in with new recruit Tom Fryer playing guitar. We made the rounds of clubs in the Toronto area and were “discovered” by Chuck Beal the guitar player from the sixties band, The Paupers. We continued to perform and we were encouraged to write our own songs. The R&B stuff was hot Isley Brothers, James Brown fit the current groove of what had now become Northern Dancer. We had all finished high school and Neil rejoined the band and his older brother took over management of the band. From 1973 thru 1975 we toured around Ontario and the east coast of Canada. We played everywhere from Gander, Newfoundland to Fort Frances, Ontario. Points in between like Owen Sound, Wallaceburg, Chatham, Jarvis, Brantford, Cornwall, Thunder Bay, Marathon, Manitouwadge, Sturgeon Falls, St. Catharines, Belleville, Brockville, Hamilton, Barrie, Orillia, Kingston, Ottawa, Hull, Montreal, Fredericton, Moncton, St. Stephen, Saint John, Richibucto, Bathurst, Halifax, Grand Falls, Placentia Bay and Toronto too! Doug and Chuck started to get together in the mid nineteen eighties to play some tunes. They realized they had a mutual admiration for the songs of the sixties. 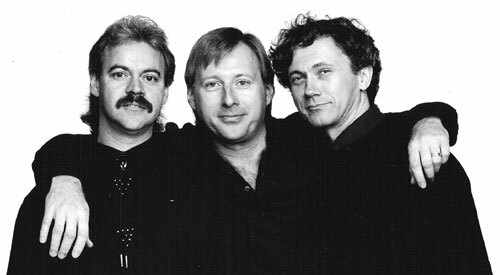 We were called together by Chuck in 1988; Angus, Chris, Doug and Terry McDonald a keyboard player who had always been part of the scene but we had never played together. 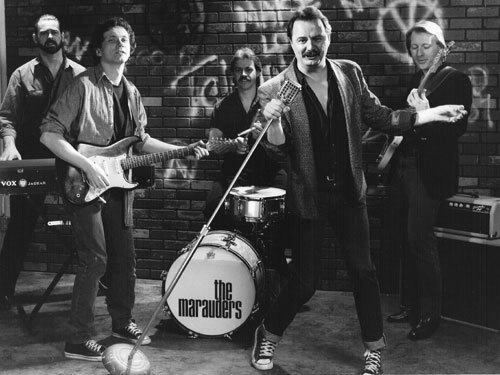 The Marauders were born to celebrate the popular music of the free-love decade. Gerry & the Pacemakers, The Turtles, The Box Tops, The McCoys, Music Machine, The Swingin’ Blue Jeans, Len Barry, Johnny Rivers, Ritchie Valens, Buddy Holly, Lulu, The Isley Brothers, The Searchers, Procal Harem, Manfred Mann, The Cookies, The Casinos, The Hollies, The Rolling Stones, Elvis Presley and The Beatles all found a place in the set list. Private parties and a house gig at Madame’s in Mississauga made for a exciting live show captured on the recording “Ground Hog Day – 1990”. This would be The Original Marauders. 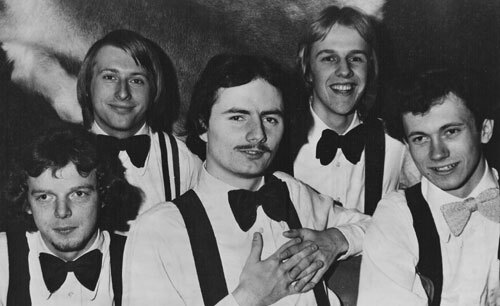 The band transformed after four years when Chuck had the opportunity to join Donnie Walsh with The Downchild Blues Band, This meant full time dedication to music and Chuck was up for the challenge. 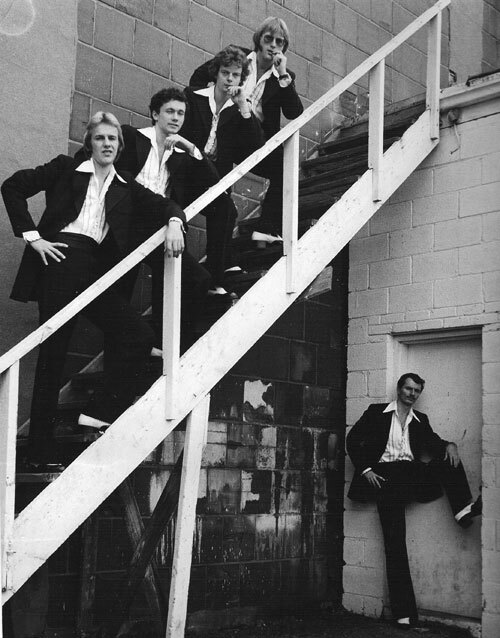 The Marauders morphed into a rock ‘n roll trio that continued the tradition of celebrating the sixties music but also included songs from the forties and fifties as well as the seventies, eighties and nineties. All music must fit the simple criteria. Can you dance to it? The Marauders continue to play Rock ‘n’ Roll for Dancing.